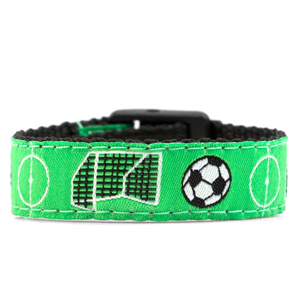 Fits Wrist Sizes: 4 - 6 in. 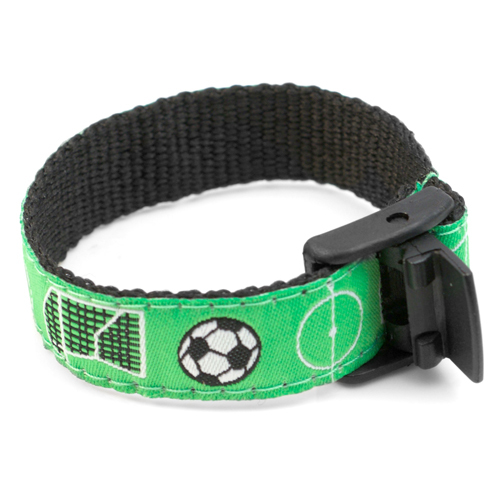 This soccer field strap bracelet is made of nylon and polyester and features a snap-lock clasp. 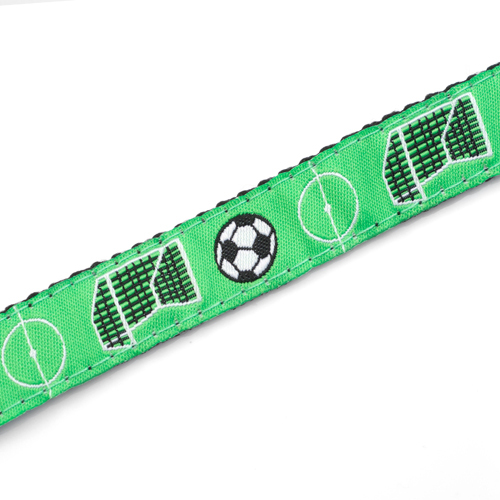 This cute soccer bracelet adjusts to fits wrists 4-6 inches and its strap is hand washable, plus the end of its strap tucks inside bracelet. 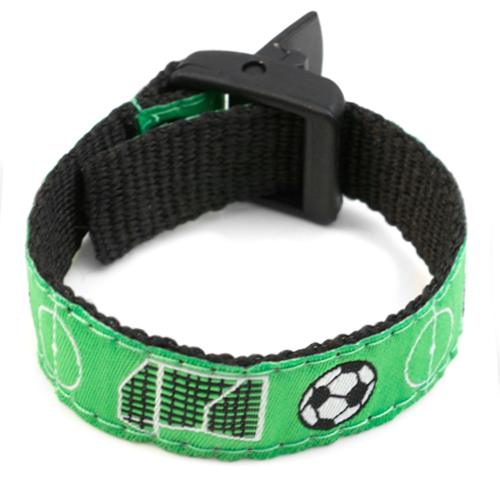 Any additional length of the soccer strap should be inside touching the wrist - not hanging on the outside. Strap doesn't need to be cut.